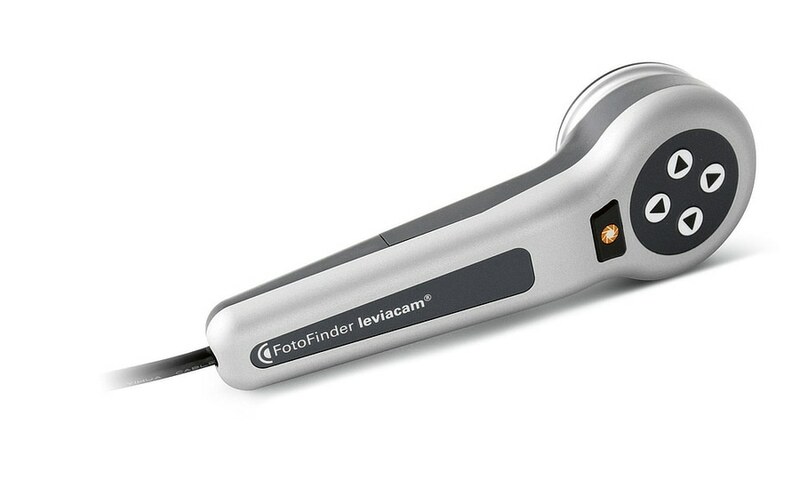 The digital dermatoscope FotoFinder leviacam captures ultra-sharp images of moles and the skin. 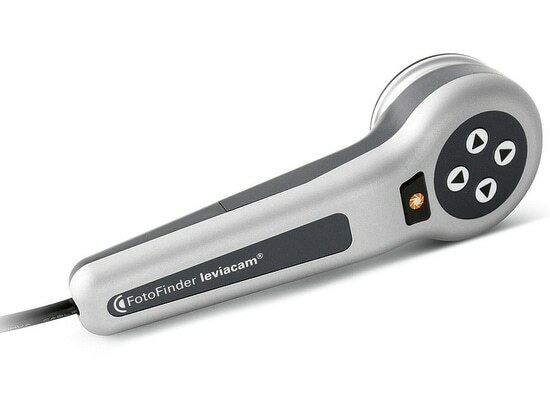 The device is characterised by its small size and low weight, which make it highly portable. Thanks to its premium aluminium housing, it sits comfortably in the hand. The physician can conveniently control the lighting and all imaging functions on the integrated control panel at the back. The magnetic optics for epiluminescence microscopy may be attached and removed wirelessly. 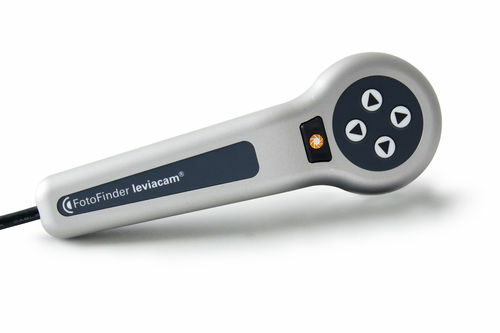 The dermatoscope FotoFinder leviacam impresses with its high ergonomic standards and precise workmanship, which convincingly convey its intrinsic value.